How often do you experience schadenfreude? If you’re like I was, you have no idea because you don’t even know what the word means. Oh no, that sounds terrible, doesn’t it? Yet, if you are honest, you have experienced it. You have found joy in someone else's misfortune. Some of you might stop reading this article now because facing this may be too difficult for you but I’d like you to take a few minutes and consider this. In today’s climate (and I don’t mean weather), you see schadenfreude everywhere. But let’s start with television. Have you ever watched The Simpsons? You will often see characters on the show being happy at another’s demise, failures, or struggles. How about The Jerry Springer show? Why would anyone watch that? Yet, it’s been on the air almost 25 years. Yes, 25 years of people publicly embarrassing, harassing, even assaulting one another for all the world to see. I just cringe when I see people laughing at this stuff. But, the show wouldn’t be on the air if the viewers didn’t experience schadenfreude while watching. In today’s society, we are always looking for a villain. If something isn’t going well in our lives, we have to find a villain to blame. I’m not saying that people don’t hurt people. What does happen though is we see someone who is successful who falters and we find joy in their fall. I mean, in our minds, they had too much success anyway. You knew that there was something wrong with them. I mean, why else would they be more successful than you? And look at the political climate in the U.S... Republicans rejoice when a Democrat falters in his marriage. Democrats celebrate when a Republican has issues with her tax payments. When people disagree with each other, rather than having a conversation and confronting the issue one-on-one, they take to social media where they can find joy in shaming them. That’s schadenfreude! How about sports? Don't Red Sox fans love it when someone on the Yankees gets hurt? Schadenfreude abounds in sports. Why is it that we don't hope that everyone on the other team is at their best? Wouldn't we want to beat them at their best so they can bring out the best in us? Now to you, this sounds unbelievable and unrealistic. I mean, how can this kid be hanging out with those people? As time goes on, she shares more experiences that sound even more outrageous. So, you start making fun of her behind her back. You roll your eyes when she “drops another name.” You tell yourselves that she is just trying to show off. The old-timers make fun of her, imitate her, and bad mouth her. Meanwhile, this new-timer has developed significant relationships with upper management. Over the year, she has learned a lot, and you start to see that she is up for promotions. The old-timers gripe and complain even more behind her back. They not only make fun of her, they also criticize her work, and criticize management for falling for her lies and schmoozing. Then, it happens. There is an occasion when she suffers a failure or setback, and the old-timers meet at the secret watering hole to celebrate her struggles. High-fives abound. This feels so good that they conjure up a plan to make it happen again. They give her partial information leaving out key facts and details that she then acts upon and flounders. They then feign assistance and watch her fall on her face. I mean, if she knows so many muckety-mucks, and if she’s so smart, she should’ve known, right? This calls for another celebration! I've seen this go on for years. Then, one day the newbie isn’t a newbie anymore. She is, however, tired of the disdain and finds a better opportunity. The legacy employees express a collective sigh of relief and, of course, meet at the bar to celebrate. But, guess what? Over the next couple of weeks, a new group of recruits is hired and guess what? Yep, one of them seems smarter or more connected or better dressed or... you fill in the blank. And guess what happens next? This example may not be the one that accurately exemplifies what you've seen or experienced. But, think about it... Have you ever delighted in someone else’s misfortunes or missteps? If so, you’ve experienced the emotion of schadenfreude. Last week, I had the honor of umpiring at the Little League Baseball Southwest Regional in Waco, TX. I was one of eight umpires selected from the seven states in the region to officiate the tournament. Now, only eight umpires out of thousands get this opportunity, so there are many more who don't go than who do. Those who weren't selected or who don't even volunteer to umpire Little League may feel envious or better than those of us on the field. They may feel that it is their right or their duty to criticize every call. Now, they don't do this in the privacy of their home. They choose to do it publicly. Believe it or not, umpires make mistakes. Yes, I made a mistake on a call at first base during the tournament. I wish I hadn’t made the mistake, but I didn’t make the mistake on purpose. I knew in a matter of seconds that I made the incorrect call (which couldn't be overturned by replay) and felt terrible about it. But on social media the comments were horrible. I didn’t make the wrong call because I’m a woman or because I’m a cheater or because I’m stupid. Yet many umpires and armchair umpires felt the need to make assumptions and create stories in their minds and share them on social media as to why I was there and why I made a mistake. 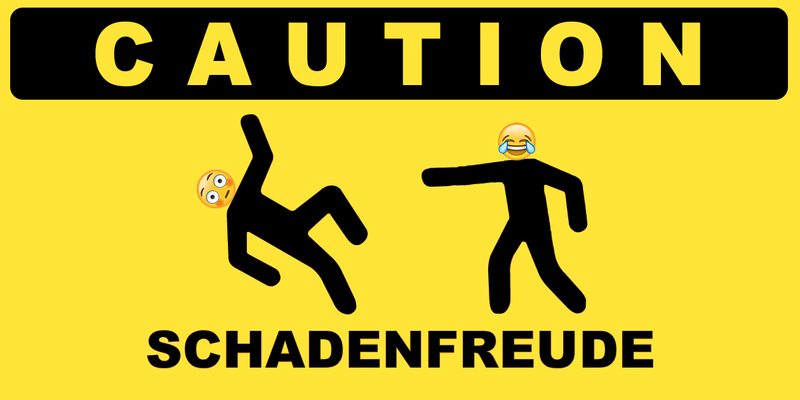 Schadenfreude makes folks feel better in the short-term. They somehow find joy and pleasure in sharing, analyzing, and criticizing mistakes. Yet, when we look at this from another perspective, criticizing errors adds little to no value to our lives. As a matter of fact, by spending our time criticizing and commenting on the mistake, we aren't learning or practicing what we need to do to improve our lives. Please don't misunderstand... I know folks have a right in to voice their opinion and I choose not to read or dwell on these comments. I just thought it was a great example of schadenfreude as the internet has made it even more obvious and prevalent. I believe we all need at least two skills to avoid schadenfreude... mindfulness, and empathy. Mindfulness allows you to reflect on your thinking so you can discover the triggers and circumstances that lead to you finding joy in others misfortune. Empathy allows you to see the world from multiple perspectives so you can develop multi-focal points of view. Empathy will help you to be more accepting and tolerant and less judgmental. Jumping to conclusions and making assumptions based on limited perspectives can cause a lot of unnecessary pain. Also, you may want to work on growing your humility. Understand that it could be you in the unfortunate position and the other person who's experiencing schadenfreude. Think about how you would feel about an onlooker who pointed and smirked instead of offering support and understanding. Finally, it’s okay to experience schadenfreude. It's a natural emotion from our early evolution. It served a purpose when we were parts of barbarian hordes who pillaged and plundered our rivals to survive. We have, however, evolved and schadenfreude may not serve us well in today's world. It’s one of those mental habits and traps that we fall into when we spend too much time comparing ourselves to others. In the future, when you recognize the emotion of schadenfreude in you, focus on what you could be doing with your time to better your life and your self. Focus on what you can control. Break free from old mental habits that don’t add value to your life. Want to learn more about breaking free from old mental habits? 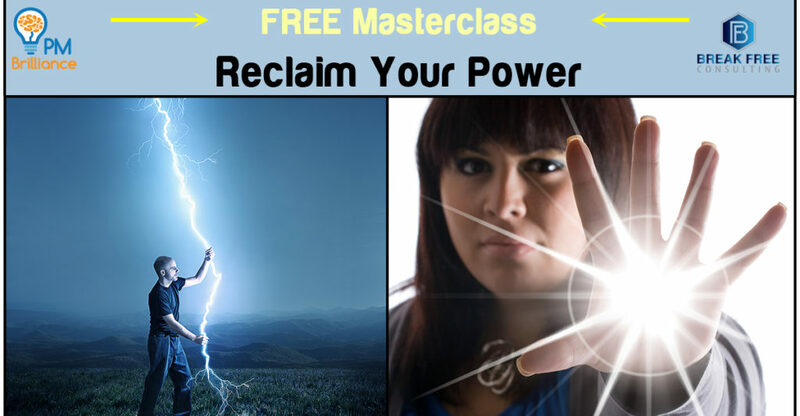 In this one hour masterclass, you will learn the 7 keys to breaking free from your old mental habits so you can create new ones that are aligned with what you want to do AND who you want to be.